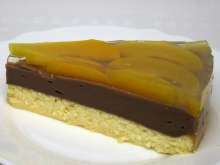 Delicious dessert without flour, a delicacy for hot a summer day. It is served well-cooled. 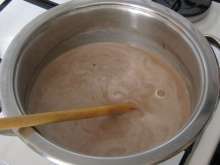 Melt chocolate over a water bath. 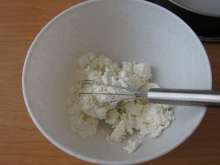 Stir cream cheese in a bowl. 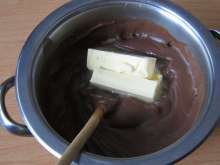 Mix warmish chocolate with cream cheese. 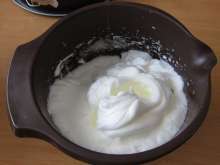 ... and egg whites foam. 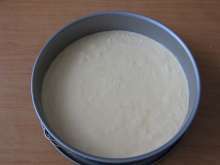 Line round cake form (26 cm) with parchment paper and brush the form with parchment paper with oil. 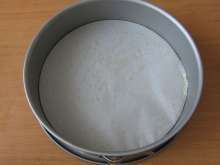 Preheat oven to 320°F (160°C) and place large baking tin with water at the bottom. 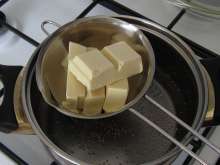 Place baking form with the dough on the grate above the baking tin and bake 30 minutes at 160-340°F (170°C). 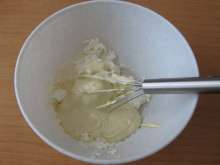 Turn off the oven and allow it to finish in the closed oven for 15 minutes. 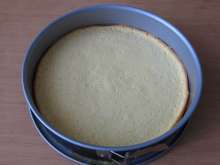 The finished cake base is coherent and slightly pink colored. 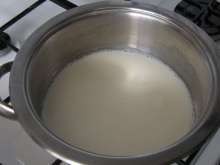 Bring to the boil milk and sugar. 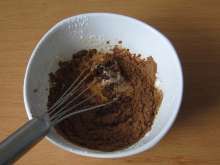 ... pour it in milk and prepare dense pudding. 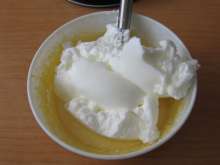 Mix pudding with butter and spread the cream over the finished cake base. 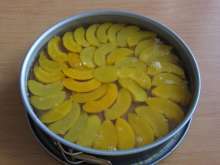 Lay canned or fresh peaches cut into half moons (400g) on the cake base. Allow it to cool. 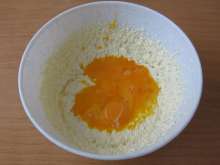 Mix juice from canned peaches with water, mix it with agar gelatin, bring to the boil, set aside and cool over a water bath until it starts to be dense. We need about 500 ml of water for agar. 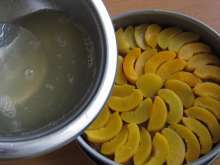 If we use fresh peaches, mix agar only with water (about 500 ml) with sugar to taste and a little lemon juice. 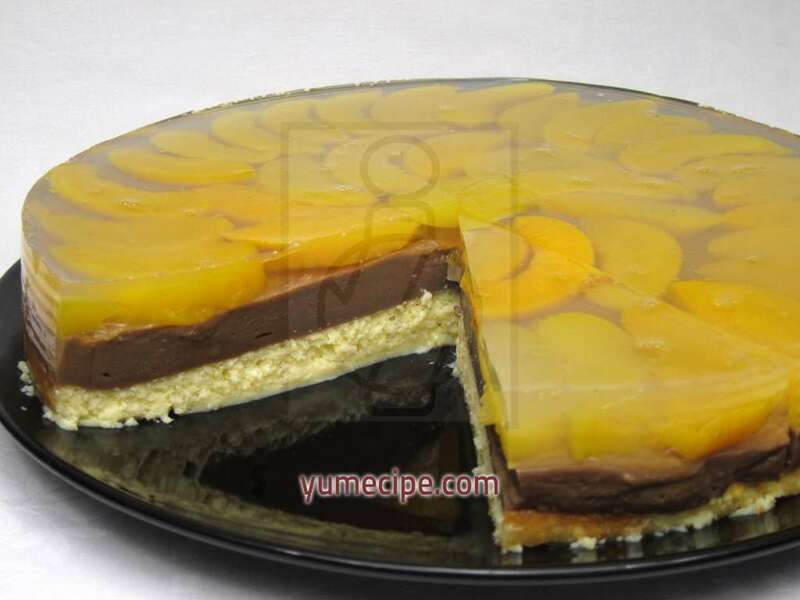 Pour agar gelatin on peaches and place it in refrigerator until it becomes stiff.